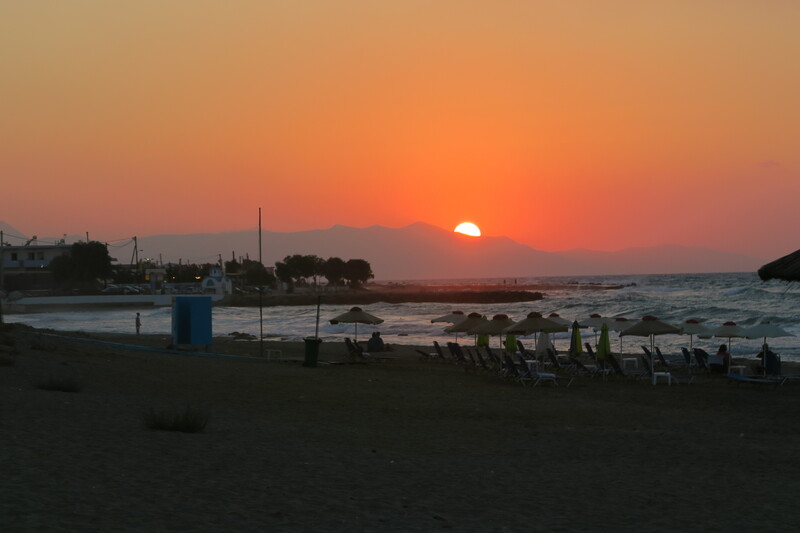 It’s already been well over a month since we returned from Crete. I had the best of intentions to get a post up as soon as we returned so I wouldn’t forget a single detail but, as it tends to do, life got well and truly in the way! Florence started school a few days after we returned, some of our best friends got married and Elsie decided 4am was a good time to start the day! The holiday came out of nowhere really, we found ourselves with a little extra free time before Florence started school and we thought we should really make the most of the cheaper deals once the schools had gone back after the summer break. 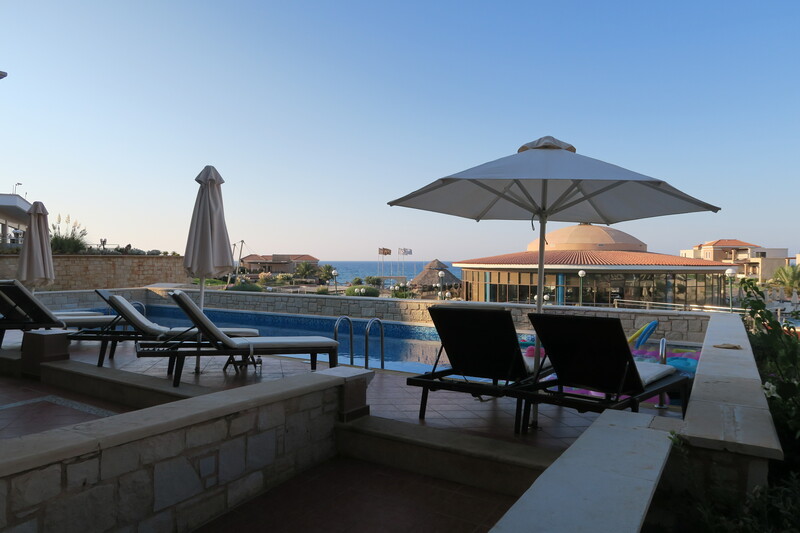 We’ve stayed at the Sensatori resort in Egypt previously and it was stunning and I’d seen a few photos of Sensatori Crete online and read some good reviews so we booked it up. Sensatori resorts are renowned for being family friendly as well as a little luxurious and this holiday certainly didn’t disappoint. We flew out to Crete with Thomson on a Dreamliner. Matt and I both love flying so we were chuffed to be on one of these snazzy aeroplanes – not least because Matt is well over 6ft and tends to struggle with leg room on a standard aeroplane. Dreamliner’s are a little speedier and so the the flight time was only about 3.5hrs. 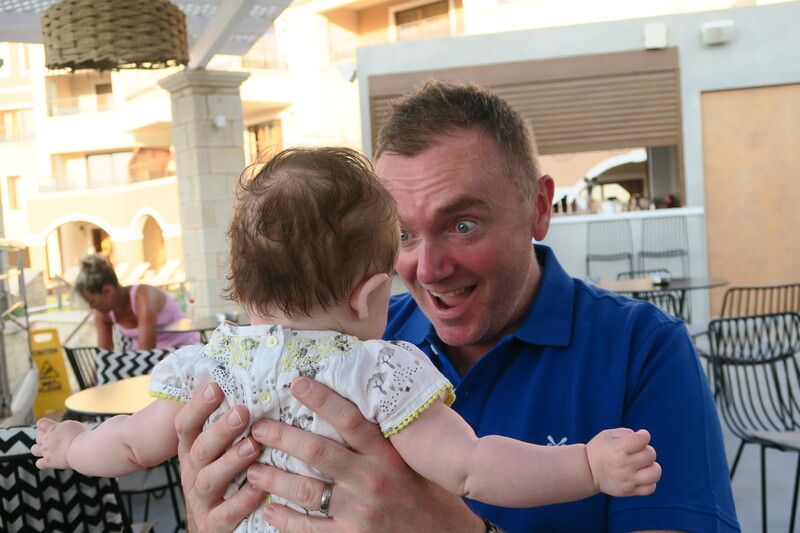 I can’t lie; we were both nervous about flying with a 3 month old baby but we needn’t have been as she was as good as gold. Elsie fell asleep during take off as she’d just guzzled a bottle and woke up about an hour later and was quite happy wondering around the aeroplane or just standing and having a nose on our laps. The young couple sat across the aisle from us complimented both girls on their behaviour during the flight and also loved Florence’s window stickers and had never seen anything like them before. We landed in Crete early afternoon and waited on the transfer bus for what seemed like forever. It was my first time in Crete and it seemed like such a barren place; buildings half finished, not much going on and homes fairly run down. I’d only ever really seen the popular tourist resorts on TV so it was a contrast to what I’d imagined. However, the sea was stunning en route to our hotel and shimmered in the sun. It was the most beautiful bright blue-green colour. We arrived at the hotel around 2:30pm, just in time for lunch and, whilst waiting to be taken to the restaurant, I noticed Jacqueline Jossa (Lauren Branning, Eastenders), Dan Osboune and their family also waiting around. I thought that if this hotel is good enough for a soap star then it’s gotta be ok! After lunch we were shown to our room. It was in the closest block to the main restaurant and lobby which was handy with the kids and we’d also paid to upgrade our room to a swim up room. Now, in our heads a swim up room has a channel of water, a bit like a lazy river, passing by so you can float around the resort. However, what we actually got was a semi-private pool between us and three other rooms. It was stunning but, you know when somethings just not quite as you’d pictured it to be? 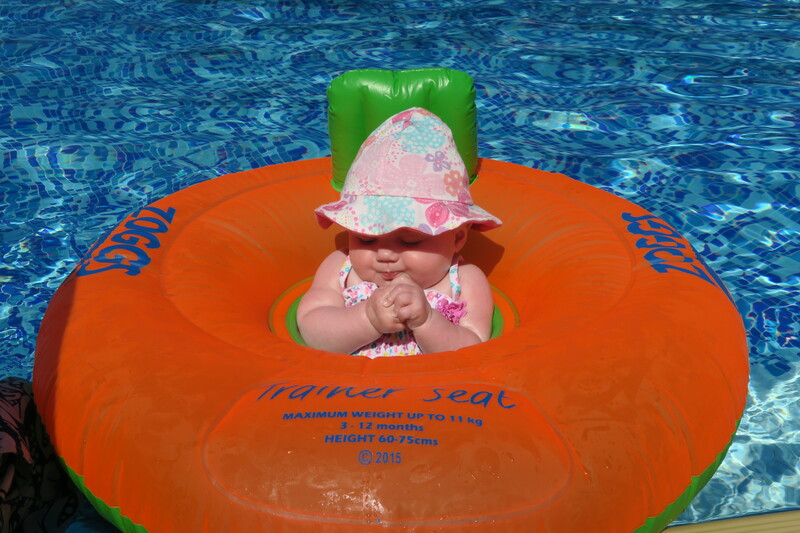 The water in the pool was pretty cold so you really did need to wait until the sun had been shining for a few hours before braving it but that didn’t stop Florence and she was in there pre 9am most days! The room itself was huge and the kids beds were behind a set of sliding doors which was ideal as it meant Matt and I could stay up a little later without disturbing them too much. Having said that whenever we did stay up later in our room we usually sat on the balcony as we could hear the entertainment and people watch those stumbling back from the bar. Before we left the UK we pre-booked (payable) afternoon sessions for Elsie in the nursery so we had a couple of hours a day to unwind. Florence was really keen to see what the kids club was all about and so we took her along to a session and she loved it and ended up spending large parts of the day with them. It was really good; they ran morning and afternoon sessions and then there was either a party or movie from 7:30pm-9:30pm and best of all it was all included in the price. During our stay both girls had a sleepover in the nursery until about 11:30pm which meant Matt and I had a proper evening to ourselves to enjoy dinner and drinks in the adult only areas. Speaking of which, the adults only area was always really busy but was well separated from the family zones. The family zones were great – especially the spray ground. The water was shallow enough for kids to play in without too much worry and the equipment was all non slip and very clean. My only little moan about the spray ground area is that the sun loungers were of a lower quality to those in the rest of the resort. Oh and one other thing….the floors are so slippery in some areas of the resort; especially around the main pool. The staff tried their best to lay mats down wherever they could but we did see a few people take a tumble. The bar service during the day was good. We were staying at Sensatori Crete on an all inclusive basis and so drinks were flowing all day long; the prosecco was good (and I should know) but the wine wasn’t up to much and could have been mistaken for Sarsons! There were loads of other drinks on offer for the kids too including milkshakes and slushies. The resort itself was pristine and this was no more evident then in the buffet restaurant. We’ve had some bad experiences of buffet restaurants whilst on holiday but this one was lovely. Absolutely sparkling clean, well managed, plenty of staff and lots of useful signage. 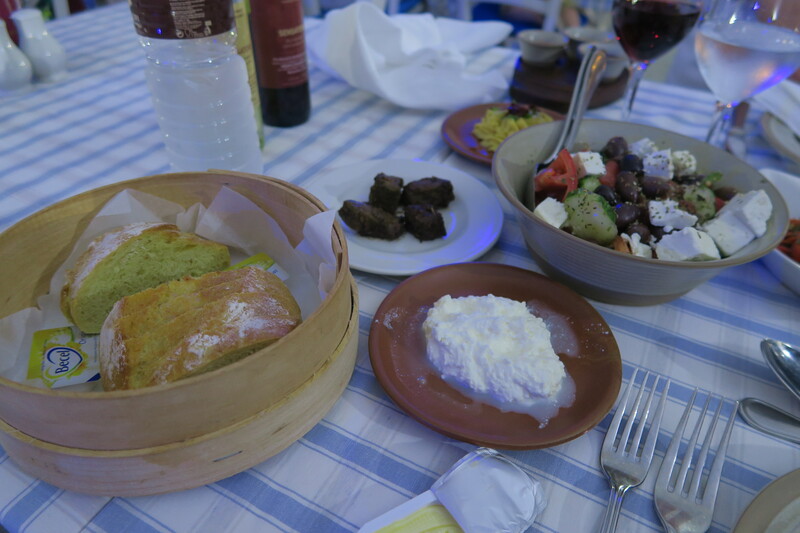 The food variety was good local dishes as well as the usual fare. Thankfully we managed to avoid the dessert table most nights but they looked incredible. Had I let myself my 4lb weight gain over the week would have been more like 14lb! I’ve done enough waffling now so I’ll let the photos do the rest of the talking. I also made a mini video of our stay to capture some of those moments I’d like to remember such as Florence and Elsie swimming.